I knew my Soul had a unique purpose here on Earth because "my story" could have ended when I was just four years of age, but it did not. It took me years to be comfortable about finally "showing up" and bring my gifts into the world. 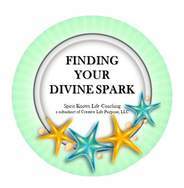 As I grew into my own self-confidence and wisdom, I created my businesses: Finding Your Divine Spark, Spirit Knows Life Coaching, and Talking With Toes, as a way to help others find connection to their own truths. Through Intuitive Life Coaching, Hypnotherapy, and more, I discovered the avenue to help individuals open their own dialog and pull out those answers from within, shifting perspectives to become more fully engaged in their own lives. I did it and so can you! Because many have asked about my life story and path take to get to where I am now, I am in the process of writing a book about the journey that brought me to where I am in my life now! When it's complete you will be the first to know! We all have our stories, and maybe you are wondering what mine is and how I ended up becoming a Life Coach. I knew my Soul had a unique purpose here on Earth because my story could have ended when I was four years of age, but it did not. At the very young age of four, I had a Near Death Experience (NDE) and then I had a second NDE in my late teen years. When I was young Near Death Experiences were not as widely understood as they are now, so while it was agreed that "something" had happened to me during the time I was admitted into the hospital, given last rites, and then woke up in that hospital bed, I was told it would be best not to talk about it because other people might think I had lost my mind, they might not understand. I wanted to talk about it but instead kept it inside and became a painfully introverted child. It was in that silence that I developed the keen sense of listening and observing, and this soon became my normal way of being (or showing up) in the world. I've always believed in holistic methodology and in being a helper to others, but my story isn't one of waking up one day and saying to myself “oh today I think I will be a Life Coach." Actually, my life journey from where I was to where I am now was a very rugged, often quite crooked pathway, many time pushing me down so hard that I wasn't sure I would be able to get back up. My life has taken me in directions that I never dreamed of going. However, as often as I was knocked down, I got back up and ventured onward. I spent years trying to find my true voice and the pathway leading back to my own truth. The process strengthened my resilience and resolve to help others who felt disconnected in the world. Many times throughout my life I felt as if there was something wrong with me because of how quiet I was; however, I was simply taking in, and reflecting, on all the sights and sounds of the world around me. This reflection serves me well, now, as I work with clients to help them bring changes into their life. I learned compassion and an acceptance that we are all part of the human race, yet we are also very different in what we each bring into the world. As years passed I had the realization that we are all born into this world with unique gifts to share and, somehow, someway, events in our life will eventually place us on the path we are meant to walk. Looking back, I realize while both NDE's were important in my life path, the first one provided me with the gift of resilience and ability to focus on what was happening around me, in the present moments. At that very young age of four, I discovered I had the Spirit-given gift of Intuition. Even though I remained curious about what life had in story for me, I wasn't sure what to do with that "gift" of Intuition, and I spent years feeling very different and extremely disconnected from others. As I grew up, I experienced happy times and many wonderful things and also experienced a fair share of disappointments and pain. Through it all, I tried my best to be open-minded and tried to see the positive in all that was taking place. Venturing onward in my own spiritual quest to reconnect with myself and the world, I discovered an innate ability to read Oracle cards with, what others have told me, an amazing accuracy. The messages are not from me but from Spirit, I am but the messenger sharing the words and wisdom as it is being relayed through me. I aligned with the Intuition that was gifted me as a young child and began using that inner guidance to help others. As I have grown into my own self-confidence and wisdom, I created my businesses, Finding Your Divine Spark, Spirit Knows Life Coaching, and Talking With Toes, as a way to help others find connection to their truth. Offering Intuitive Life & Spiritual Coaching, Hypnotherapy, and more, I have the ability to help individuals open their own dialog to pull out those answers from within and shift perspectives to become fully engaged in their own lives. It took me years to finally "show up" and brings my gifts forth into the world. I did it and so can you!